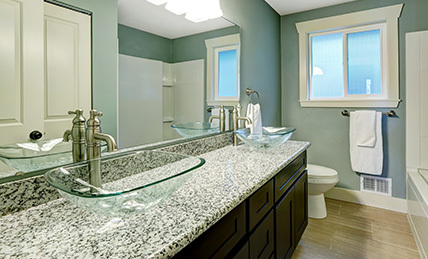 If you're a homeowner looking for high-quality and affordable bathroom remodeling services, then you've come to the right place! 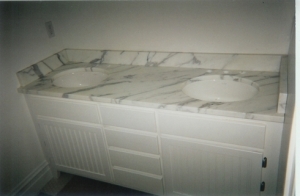 All Kitchen & Bath is the perfect choice for any and all of your bathroom remodeling needs. Whether you are looking for granite, marble, quartz, quartzite, and limestone countertops our team is experienced in crafting and installing custom countertops and tile flooring. Practical Bathroom Upgrades That Don’t Break The Bank! Installing stone countertops requires skill and precision. Bathroom countertops are the centerpiece of the entire room and need to be mounted with great care so they can last for years to come. Thankfully, you can get the best installation services for custom countertops in Southeastern Michigan by hiring us for the job. We have the tools, materials, and experience to complete the job quickly and easily. When we install stone countertops, we perform the job diligently and with great efficiency so you end up paying less than you would have with any of our competitors. We understand that bathrooms come in all shapes and sizes. Whatever your needs are, we can create the perfect custom counter for your space. One of the most important (and most-often overlooked) elements of your bathroom is the floor. Bathroom flooring needs to be expertly installed by highly experienced contractors in order to extend longevity. Thankfully, our tile floor installation experts have everything it takes to make sure your floors can handle anything, even high traffic. Stone is more than a material that offers everlasting nobility. It is deeply resistant to water damage, making our stone flooring installation a definite plus for your home. Whether installing tile flooring, tile showers or tile baths, you can expect the very best flooring installation service from us. We are flexible and affordable, offering local homeowners access to some of the most reliable services on the market. If you've been dreaming of elegant granite flooring but haven't yet had the resources ready to commit to the project, you can trust us to get it done beautifully and affordably. We will work with your interior designer to create a bathroom ambiance that you'll love. All Kitchen & Bath is a family owned and operated business with over 10 years of experience working in the home remodeling industry. We’re dedicated to providing the best customer service for our clients in the Southeastern MI area, and we will go above and beyond to ensure that our clients are 100% satisfied with their remodel. 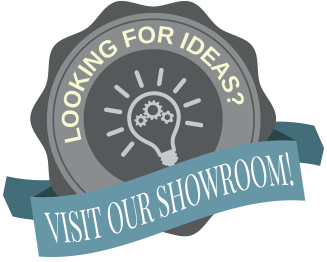 If you need help installing your new cabinets or fixtures, we can do that too! Contact us today to get started on your new bathroom!